More companies plan to automate their buildings. Schneider Electric is out with a new survey showing that planned efficiency investments among U.S. companies are on the rise for 2014. The energy management firm surveyed 369 people representing efficiency services companies, utilities and potential customers. Of those respondents, 43 percent said they planned to increase their budgets for efficiency programs over 2013, and 22 percent said they would keep budgets the same. Only 10 percent said their efficiency investments would drop in 2014. That increase isn't a surprise considering the surge in ratepayer-funded efficiency programs, which will surge to more than $10 billion by 2025. So where will those investments be made? Over the next five years, 24 percent of respondents said that building automation will be their top choice; 21 percent said lighting would be a priority; and 16 percent said data-center efficiency would be a target. 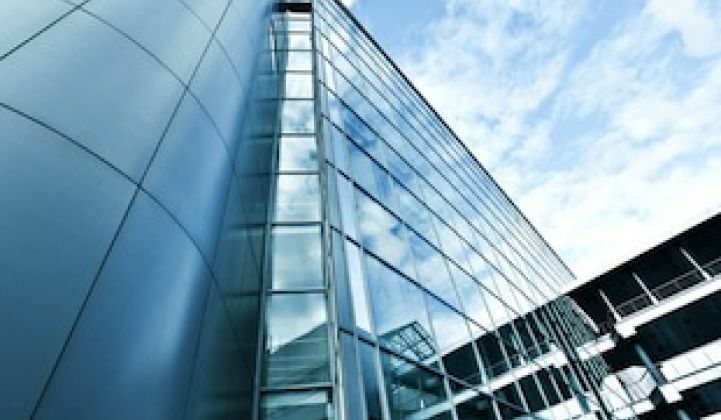 By then, the global building automation market could be worth nearly $50 billion and lighting controls worth $5 billion as more companies utilize intelligent efficiency technologies. Currently, analyzing data and performing audits are the two most popular energy management practices companies are undertaking. Only 9 percent of respondents said that renewable energy and smart meters would be a top priority. Take a look at the infographic below to see what players in the industry are saying about their efficiency strategies.